So while Nothing Fails and Love profusion are about to be released in each of their territories, we haven't heard - let alone seen - anything of the Love Profusion video. Rumour has it that Warner Brothers hasn't yet approved the video. But what is there to approve for such an innocent video? Or isn't it? Hopefully more info on this soon. According to MadonnaTribe, Baywatch actor David Hasselhoff has recorded a cover of La Isla Bonita for a CD with song covers, aimed at the German market. Let's hope we'll never get to hear that! There's also supposed to be a cover of I Deserve It on the album L'avventura by Britta Phillips and Dean Wareham. And finally, rumour has it that Britney recorded a cover of Justify My Love and is considering releasing it... if Madonna gives her permission, that is. Me Against The Music falls from 35 to 40 on the latest edition of Billboard's Hot 100. ~ You can now read part of the transcript of the Jay Leno interview on MadonnaTribe. 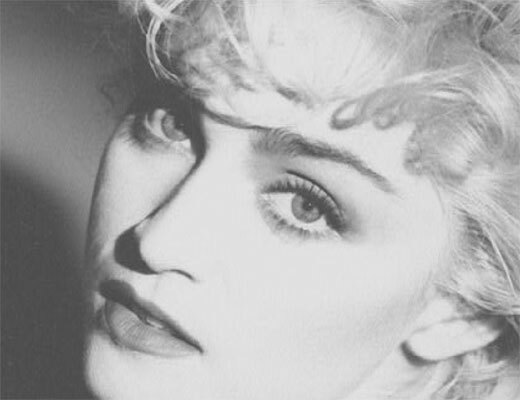 The video files are up for download at Madonna Inter.net. Madonna's appearance on "The Tonight Show with Jay Leno" will be broadcast on the Sky Digital channel "FTN" this Thursday (26th) at 10pm and then again at 1:40am (Fri); also on NBC Europe on November 30 at 21:30 cet. They posted the single cover on the right, which has a different background color then the maxi single. While most territories get a Nothing Fails single, the UK and Australia have opted for a Love Profusion single. Australian online stores have posted the cover artwork, which is a cheap edit of the Nothing Fails cover. Click on the image on the right and then click through. 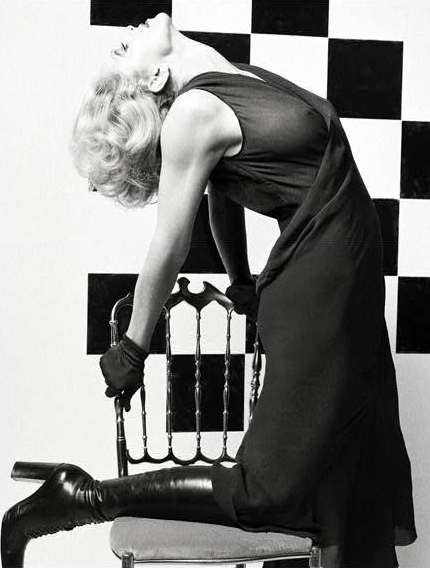 UPDATE: now check out Madonna.com for a teaser of the book. You can also view the flash trailer on our server, as well as soome of the pictures, featured in the book: one - two - three - four - five - six (thanx to Robster and Tony for the captures!). A local artist has brought a 12-year-old seventh-grader at Lakota Ridge Junior High School to cartoon celebrity worldwide. Artist Loren Long used local resident Jonathan Whitney as a model for the antagonist in the new children's book Mr. Peabody's Apples, the second children’s book by the pop star Madonna. The book was released last week in 150 countries and 36 languages. Whitney modeled the book’s character Tommy Tittlebottom, who starts false rumors about a little league coach, Mr. Peabody. "It was so cool seeing myself animated," Jonathan said. "I’ve never been in a book before, it was pretty exciting to be a part of it.” A year ago he didn’t even know who Madonna was. "She’s like a singer, I think," he said. Jonathan has the good fortune of living two doors down from Long. Long asked the Whitney family, who had moved in July 2002, if he could use Jonathan as a model. "(Jonathan) was mischievous like Dennis the Menace," said Long, a six-year West Chester Twp. resident. "There was an air of confidence he seemed to project." Long also used his own son, Griffith, 8, to model another main character, Billy Little. Me Against The Music is still doing great in this weeks charts. In Australia it stays no. 1 for a second week in both the singles and the dance chart. In the UK it drops from no. 2 to no. 6 in the singles chart and from no. 3 to no. 8 in the dance chart. In the Belgian Ultratop it makes a huge jump in its second week; from no. 26 to no. 7. And like announced before, the single is at no. 35 in the US Hot 100. For a limited time, you can download all the tracks of 'Remixed and Revisited' as well as remixes of Love Profusion, Nothing Fails and Nobody Knows Me at Leander-Online. Now that we know the entire song, we've put the complete lyrics of Your Honesty online. Enjoy but remember to go out on November 25th to buy 'Remixed and Revisited' to boost Madonna in the charts! It is about the power of words. And how we must choose them carefully to avoid causing harm to others." Indeed, the residents of Happville must be on alert after Tommy Tittlebottom sees Mr. Peabody steal an apple from Mr. Funkadeli's store. Of course, Tommy thinks he's doing the right thing by warning others of Mr. Peabody's infraction. What the child is unaware of, though, is the hurt he is causing by not knowing the story of the apples and how Mr. Peabody's stop at the store is part of his Saturday ritual before heading off to the baseball field to coach the little league team. As the upstanding citizen he is, respected as the town history teacher, he pays for the shiniest apple in the bunch when he buys his milk. When all is said and done, Tommy is left trying to repair the damage he caused Mr. Peabody and his reputation. Warner missed the occasion to have a decent celebration of Madonna's 20th career anniversary. But the Brazilian fanclub is taking the lead in their own hands, by organising one of the biggest Madonna celebrations ever. Rodrigo Rodrigues, President of the Madomaniac Brasil Fan Club informs us that there will be Madonna events throughout all the states of Brazil during the week of 12 to 20 December. Details on this MadWeek 2003 can be found here (site in Portuguese). To all the Brazilian fans: have fun and report back to us later! The single also debuted at no. 1 in the Eurochart Hot 100 Singles! 20 November - LP instead of NF, also in UK? According to Amazon.co.uk the next Uk Single is Love Profusion and not Nothing Fails (Hmv online lists the single as Nothing Fails/Love Profusion). Despite residing in the U.K., Madonna's not ready to bail on her American Life just yet. 'Remixed and Revisited', a seven-song EP due November 25, features four reworked songs from her latest album. They include the live medley of Like A Virgin and Hollywood she performed with Christina Aguilera and Britney Spears at this year's MTV Video Music Awards, the fleshed-out ditty that serves as the music for her Gap commercial, and one previously unreleased song, Your Honesty. "It's just a way to keep my record going, to keep it alive," she said. "And also because we did so many great remixes of all the songs on my album, I want people to be able to hear them. And I had a few oldies but goodies that people hadn't heard before, and I wanted to stick those on." Although Jason Nevins' remix of Nothing Fails has been chosen as the EP's first radio single, a video for the Headcleanr rock mix of Love Profusion, another American Life track, was shot earlier this month by director Luc Besson, who also helmed the Estée Lauder TV spots that feature the song. Although the queen of pop sings and dances throughout the clip, it won't look like any concert her fans have ever been to. 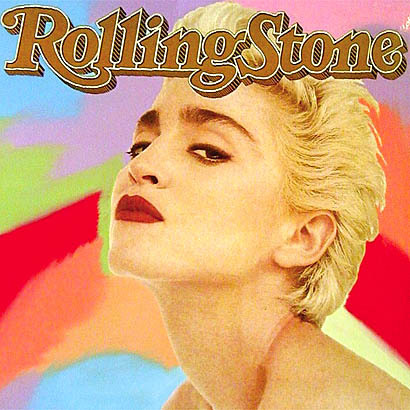 "There are a lot of special effects," Madonna said of the clip. "It's just one long performance video. I talked to things that weren't there  which is what you do when you're doing green-screen or blue-screen stuff. There's going to be a lot of fairies dancing around me. "Isn't that exciting?" she added, laughing. "I always have a lot of fairies dancing around me." 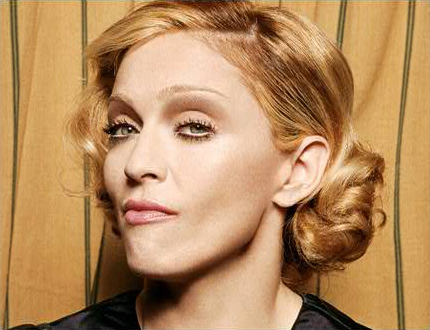 Your Honesty, co-written and co-produced by Dallas Austin, was recorded during the sessions that spawned 1994's Bedtime Stories but was left off the album because Madonna already had an overabundance of songs. Although it was all but forgotten about until her manager yanked it from the vaults, she said it was still one of her favorites. Warner has finally revealed the cover artwork of the Nothing Fails maxi. Two days ago, they also announced that Love profusion is no longer featured on this maxi (click here for the tracklisting). Pre-order the single on Amazon. Madonna's 20-year relationship with Warner Music is showing signs of strain over the future of her label, Maverick Records, and the value of stock options she received, a report said Monday. Maverick, whose stars include Alanis Morissette, Deftones and teen sensation Michelle Branch, has become one of the most successful artist-owned labels since the pop diva formed it 11 years ago as a joint venture with Warner Music, part of Time Warner Inc. But the New York Times said the entertainer now is in negotiations over whether Warner Music will continue to finance the label after the current partnership agreement expires at the end of 2004. Also on the negotiating table is a stock option deal Madonna received as part of her contract back in 1999. The options were valued at $20 million to $25 million, but since Time Warner's merger with America Online, the stock has plummeted. Executives at Warner Music, however, told the paper that the stock options were never a guarantee. But the star, who has made billions on her album sales for Warner, is expected to seek repayment for much of the initially estimated $20 million. "Madonna is one of the most important artists in the world from both a creative and a commercial standpoint and has been for the past two decades. I hope she spends the rest of her career with Warner," Roger Ames, chairman and CEO of Warner Music Group, said in a statement. The survival and relative success of her label is a matter of personal pride, people who work closely with Madonna told the paper. It also provides a base of operations for Madonna's close friend and business partner Guy Oseary, the people said. Despite slumping sales of her latest albums, compared with her biggest successes back in the 1980s and 1990s, the pop icon always finds new ways to capture the media spotlight. The diva may have been famous for her provocative lyrics and trash-talking image in the past, but the 45-year-old mother of two has recently released two children's books. Madonna's first book, "The English Roses," published Sept. 15, became a best seller in the U.S., and her second children's book, "Mr. Peabody's Apples," was just published about a week ago. "Yakov and the Seven Thieves," the third of five children's books planned by the singer-turned-actor-turned-Gap-spokeswoman-turned-author, will be released in April 2004. Like the midweeks sales had predicted, Busted's 'Crashed The Wedding' tops this weeks UK chart, leaving Me Against The Music at no. 2. This means Madonna scored her third UK no. 2 this year, after American Life and Hollywood. That makes a total of 10 no. 1's and 12 no. 2's in the UK. Me Against The Music entered the UK dance chart at no. 3. In Australia, the single is a no. 1 hit, topping both the single chart and the dance chart. In the US, it dropped from no. 38 to no. 44 in the Hot 100, while rising to no. 26 in the Dance chart. It's Madonna's second entry in the Hot Dance / Club Play: the Nobody Knows Me remixes rise from no. 17 to no. 12. Madonna has received an award for 'Michael Jackson International Artist' at this year's American Music Awards. It's the second time in a row that she received this award. She didn't attend the award ceremony. Madonna's new Nothing Fails CD Maxi will be released on December 9th. Pre-order Nothing Fails through Amazon.com. ~ Seems the Love Profusion mixes have been taken off, and two Nothing Fails mixes have been added. Pretty weird if Love Profusion is part of the double A-side. This probably means the Love Profusion mixes will be released separately.